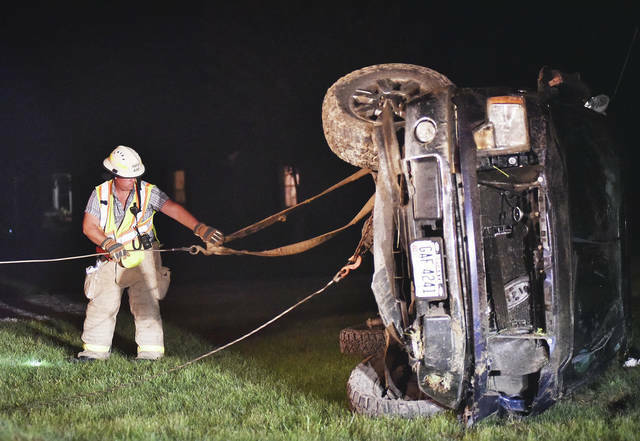 A Houston firefighter helps flip a pickup truck that rolled over on state Route 48 near its intersection with Russia-Versailles Road after first knocking over several mail boxes. 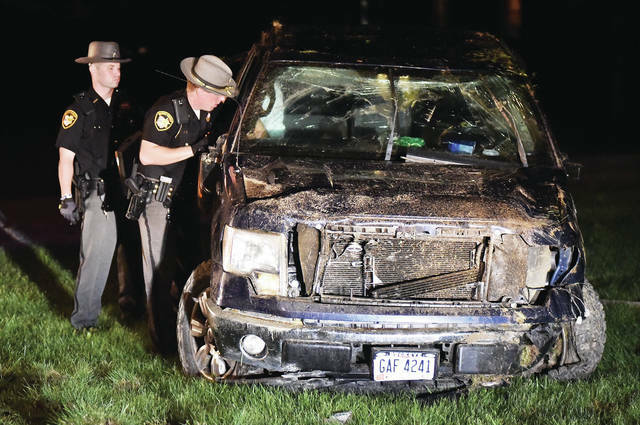 It was a one-vehicle crash shortly before 9:30 p.m. Saturday, Aug. 25. 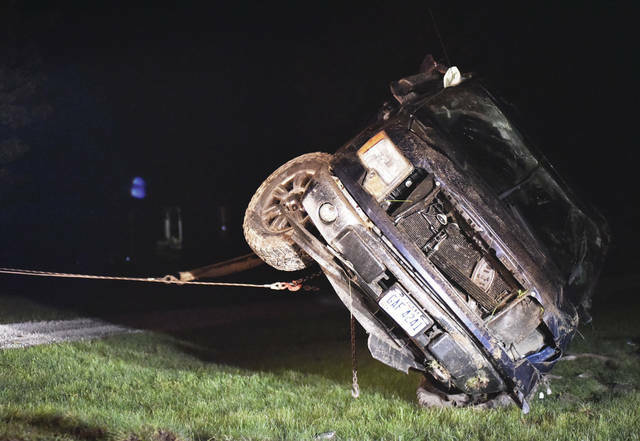 The driver, who was the only occupant, refused treatment at the scene. The Shelby County Sheriff’s Office is investigating.